Museum Kranenburgh is a cultural estate, located in the picturesque town Bergen. Bergen used to be a town with a lively art scene, what makes the village a very cultural place. The museum contains a permanent collection of paintings and graphic art, mostly coming from artists that are part of the ‘Bergense School’, a popular art style in the Dutch art history. The museum is surrounded by a sculpture garden that is free of entrance. 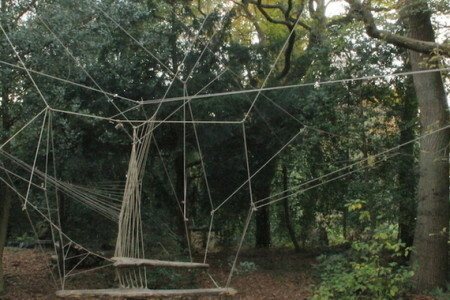 Artists like Chiel Kuijl and Sjoerd Buisman exhibited semipermanent exhibitions of their work in the gardens. The estate is surrounded by beautiful nature: forests, dunes, beaches and the North Sea are just around the corner. A visit to the Garden of Kranenburgh forms an ideal destination for a nice summer day.